Northern California musician, writer and teacher, Michael Stadler, gives a glimpse of his personal and musical roots on the great central seas of North America in his Little Dead / Fiddling Cricket release North Country. The liner notes sum it up nicely: "Michael Stadler was raised in Michigan's Upper Peninsula,.A sparsely populated, starkly beautiful place, the U.P. is bordered by Lake Superior, empty sand beaches, and nearly unbroken expanses of forest. Life there requires perseverance and luck, since, as in many rural areas, underemployment is a given. That's why one of the area's chief exports is people. Whether vocals, guitar, fiddle, banjo, mandolin or bass, Michael's passion for his music is immediately obvious." Michael is available for performances - solo and group - and teaching - individual and classes/workshops. We look forward to reviews. If you have a new one, please let us know. 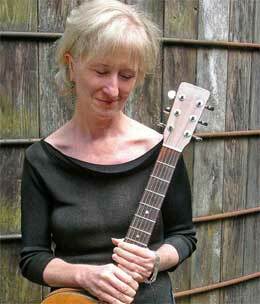 Laurie Lewis, SF Bay Area bluegrass musician: ...all-round musician Michael Stadler (one hell of a country singer). Larry Kelp: ...a typically eclectic set on any number of instruments; he's one of those musicians who believes you don't have to be flashy to be good - and he's much better than good. Michael appears solo on various broadcast outlets and in such venues as Berkeley, CA's, Freight & Salvage, where he's shared the bill with John Gorka, Greg Brown, Peppino D'Agostino, John McCormick and Joel Mabus, and in the Fiddling Cricket concert series in San Jose, CA. Michael's powerful and distinctive voice is featured on recordings by Sylvia Herold, Lisa Redfern's No Small Thing and Soundtracks and Matt Lax and Nearly Beloved's Wanderer's Dream, Hurricane and a Tumbleweed and This House of Mine. Michael's2005 solo recording project features bandmates Mary Gibbons, Jon Mitguard and Paul Knight; backing vocals from Veronica Lustre, Tom Rozum and Jim Mintun; fiddling from Laurie Lewis; electric mandolin from Tom Rozum; percussion from Wake the Dead's Brian Rice. His playing is featured on Clawhammer Guitar: The Collection, which features the playing of Steve Baughman, Jody Stecher and Alec Stone Sweet. Michael's article on the style was published in the December 2007 issue of Acoustic Guitar magazine. 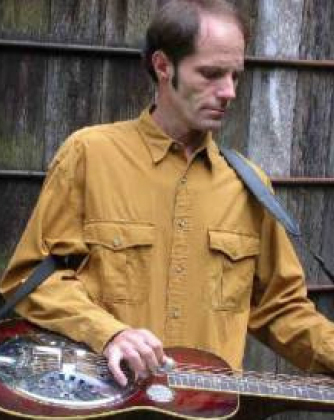 In addition to performing solo, Michael plays and sings with the Mike Stadler-Mary Gibbons band, featuring Jon Mitguard on dobro and pedal steel, and Chuck Ervin on bass. Among others the band has played the Hardly Strictly Bluegrass festival and the Great American Music Hall. Michael frequently appears in Sonoma County's Kevin Russell's various configurations, which often include some quite well-known artists. 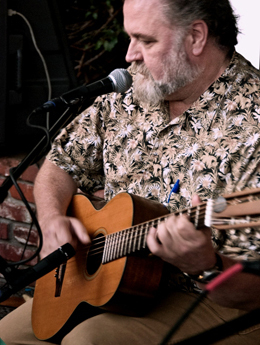 He contributed instrumental backup on San Francisco singer / songwriter Veronica Lustre's recording project and lap steel to Burke's CD The Year of You. Michael is a creative, articulate and patient teacher of fingerstyle and flatpicked guitar, and mandolin, clawhammer banjo, dobro and fiddle. 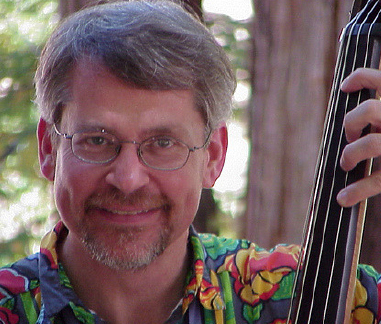 He has taught a variety of classes at the California Coast Music Camp beginning in 2002. Michael was raised in Michigan's Upper Peninsula on the south shore of Lake Superior and has lived in the San Francisco area since the early 80s. Listen to a sampling of Michael Stadler's work. This fine gathering of highly experienced musicians pulls together to find the common ground between early Country and Bluegrass and to include original material and contemporary songs suited to such a goal. The band features the clean, intricate harmonies - up to four parts - stacked atop a bed of dynamic acoustic instruments and pedal steel guitar. Mike has been in music since age six. His is a powerful voice well suited to American roots forms: Country, Bluegrass, Old Time and Folk. A multi-instrumentalist, Mike mainly sticks to mandolin and lead guitar with this group, though fiddle or clawhammer banjo might also put in an appearance. His solo CD North Country features nearly all of the band members. His clawhammer style guitar playing is featured on a Solid Air Records (www.solidairrecords.com) release, Clawhammer Guitar: The Collection, which also features Steve Baughman, Jody Stecher and Alec Stone Sweet. Mary has played and sung bluegrass and country music for decades. Born in San Francisco and a lifelong Bay Area resident, she has played, recorded, and toured with The All Girl Boys, Laurie Lewis and Her Bluegrass Pals and The Fog City Ramblers. Her voice and guitar are featured on other recordings by Lewis, as well as those of Tom Rozum and singer-songwriter Erica Wheeler. Described as a "strong, stylish singer" in Bluegrass Unlimited, Mary is a member of a short list of soulful California-bred, female bluegrass vocalists that includes Laurie Lewis, Kathy Kallick and Kate Brislin. Her powerful voice adapts easily to any style: emotive country, gutsy blues or straight-ahead bluegrass. Her highly regarded rhythm guitar playing has earned her teaching slots at major music camps and a feature article in Flatpicking Guitar Magazine. She adds her original songs to the quartet's carefully chosen repertoire. Jon grew up at the foot of the Colorado Rockies and handles pedal steel and dobro for the band. A diverse stylist, Jon has a Masters from the Honky Tonk University. In addition applying the sweet liquid steel, Mitguard sings lead and harmony. Jon is a cofounder of Barbwyre, a project near and dear to his heart featuring originals by Jon and also by fine mandolinist, guitarist and singer Dana Rath. "But, oh my stars, the music! Sung beautifully by a small ensemble cast, Guthrie's songs are rousing and spellbinding in all the right places. Jeff Waxman's countrified arrangements are done proud by musical director Tony Marcus, Chuck Ervin and Harry Yaglijian on various combinations of acoustic guitar, fiddle, mandolin, banjo, harmonica and standup bass." A Mississippi native, Chuck fell in love with country music before he could even chew tobacco. He began playing bass with the Mike Stadler & Mary Gibbons Band in early 2011 and also performs with swing ensemble Sylvia Herold & the Silvertones, folk quartet Euphonia, jazz/pop guitarist Chris Grampp, and Celtic folk/rock group Wake the Dead. Other Bay Area musicians he's worked with include Bobby Black, Keith Little, Ray Bierl, Tony Marcus, Ed Johnson, and Julian Smedley. He has worked as an actor, bassist, and singer in stage productions at Marin Theater Company, Center Repertory Theatre, Sierra Repertory Theatre, and Contra Costa Civic Theater. I took up music at the age of six. Instead of the fiddle or guitar I wanted, I was given an accordion. The reason for this, however, was a good one: the best teacher of kids in my home town taught only accordion. Still, a broken arm at age eight gave me the escape I craved and eventually set free my lifelong affinity for strings. I've taught private students & classes. Private lessons are in the home, mine or yours; I teach classes in schools and at festivals & music camps. I also offer workshops and group classes in private homes, most often followed by house concerts. I have taught at the Strawberry Music Festival, California Coast Music Camp & Fiddle Kids. Fret Hand Exercise - all plucked instruments If you follow the steps outlined in the link below, I'm sure you'll see improvements in your playing of any plucked stringed instrument. Adapted from a handout distributed at clawhammer guitar workshops offered by Michael Stadler.